The strange behaviour started after successful setup in Ubuntu 16, it did work from the start, so I guess i need to change the host name port from the beginning. By any chance could you show me how? I tried to set up the suggested port 8000, however, I do not see any changes at the moment. Did I miss something here? As I upgrade my 16 to 18, it appears this is now working as expected. By any chance, TinyCP team? could you confirm if this is a known issue for Ubunto16? I hope this will help. Thank you for your attention. Yey, it is now working. Thank you. restarted SSH, and re-connect to SSH via PuTTy, however, I am still getting the SSH port access. By chance, do you have docs on how to manage firewall in TinyCP? Thank you for letting me know. Indeed, my apology for my ignorance. Yes, I can see this is working as expected, clearly, it was my mistake using the same IP to test my firewall setup. At this point, im all set. Thank you for your attention. I will give it a try. I really appreciated the recommendation. However, is there any option to get the entire domain to enable for https2? 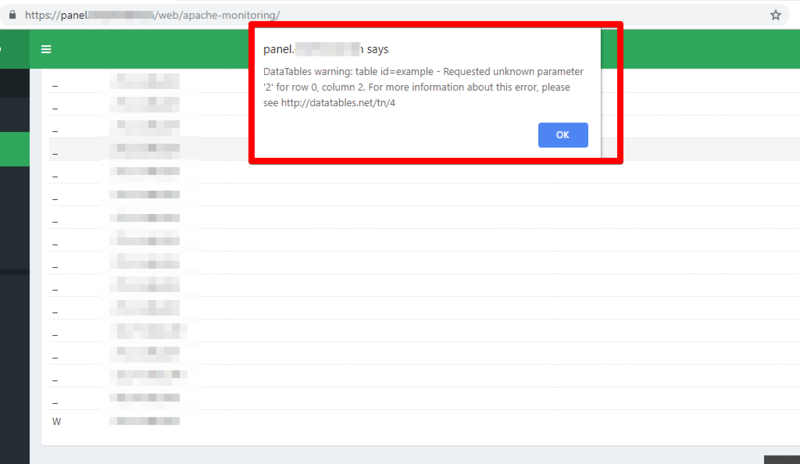 I tried /etc/apache2/apache2.conf, however, I do not see the <VirtualHost>...</VirtualHost> tags. Could you guide me in the right direction? For some reason, this has been corrected. You may close this thread for now. Yes, i did. It is working. 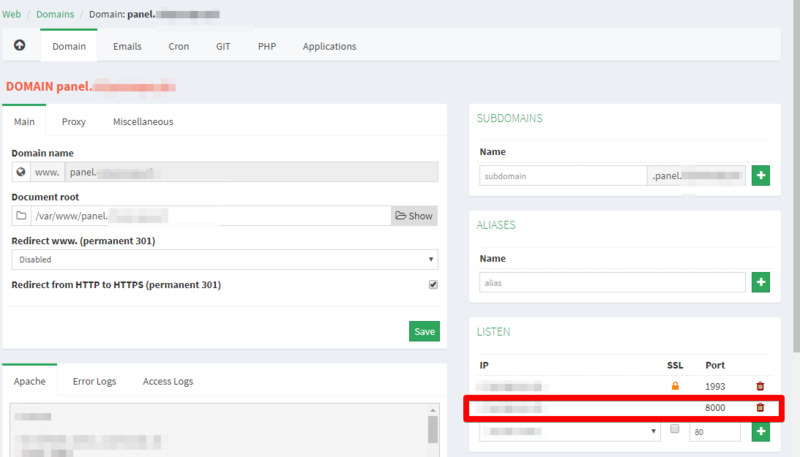 However if i go to subdomain which is my host name. I am getting the reported message. 1. 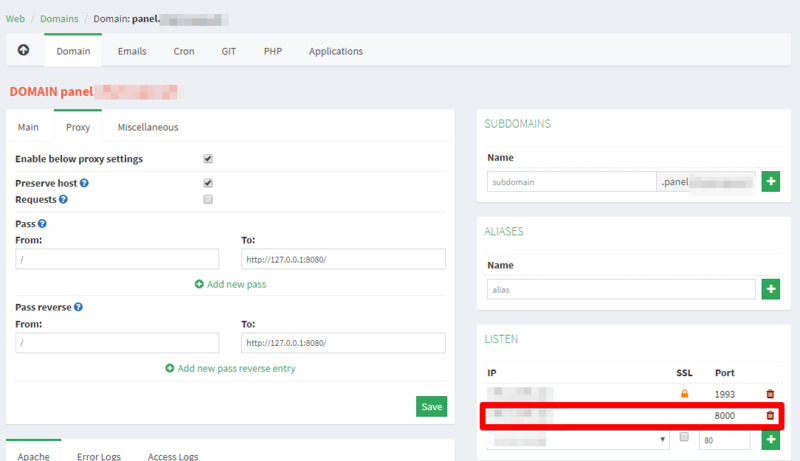 Tinycp have letsencrypt auto renew ? Yes, auto-renew for LE cert are in place. In: Control panel has stopped working after last update! Try SSH and run tinycp restart, I had the same experience, this should do the trick. 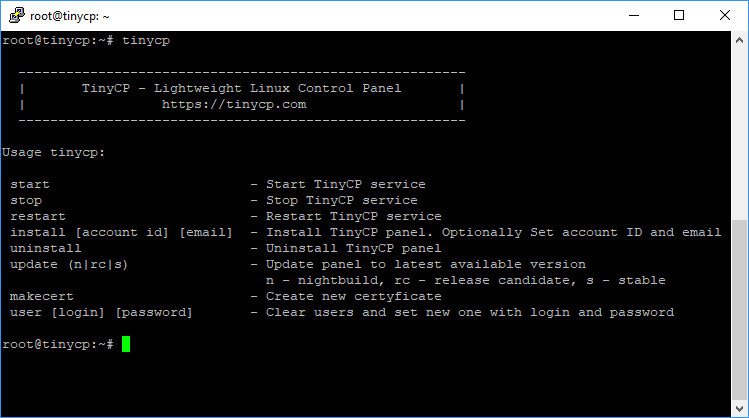 have you tried upgrading your current version of TinyCP? For now, let us wait for the next update. I am confident, this will be addressed.